Available in Phyanite Cubic Zirconia, Peridot,, Citrine, Amethyst, Garnet, Iolite, Blue Topaz, Pink Tourmaline, Green Tourmaline, Aquamarine, Rhodolite Garnet. 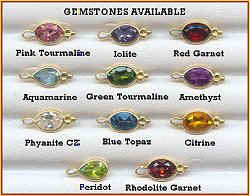 All genuine gemstones are AAA grade or better and perfectly faceted. Please click on picture to enlarge for detail & to order. Several sizes and other genuine gemstones are available. See chart below for availability. ALL pendants are also available in white gold settings! Please click on picture to enlarge for detail & to order. Several sizes available. Please click on picture to enlarge for detail & to order. We have these pendants available in many of the genuine gemstones shown here. By clicking on the above pictures, you will be taken to an enlargement of the shape of the pendant shown and the size and gemstone options will be available. Many pendants are also available in 14k white gold at no additional cost. These pendants can be ordered in white gold also. Some are also available in platinum settings. 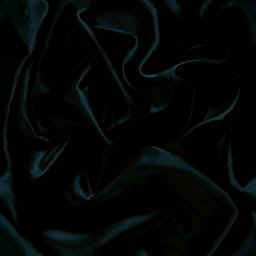 See enlargement for availability and details.